New York/Los Angeles based photographer, Peter Hurley, specializes in advertising and commercial work, including portraiture, fashion, beauty, editorial, and headshots. With a background in modeling and racing sailboats (and a spot on the 2000 US Olympic sailing team), he began his photography career shooting sailboats and regatta events. His work led him into advertising, with clients like Levi’s, Reebok, DKNY, Johnnie Walker, and Axe Deodorant. Everybody needs a headshot, shouldn’t you be the one to take it? 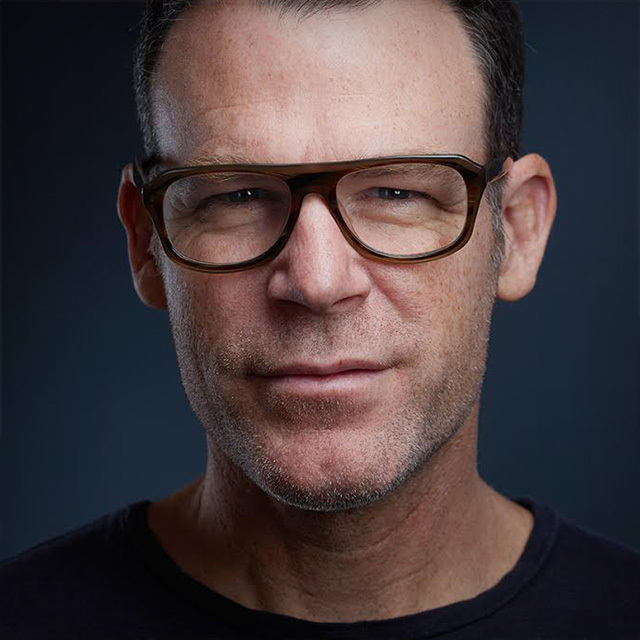 Join Peter Hurley as he teaches you how to get started in headshot photography! Peter has been making his living as a headshot photographer for 18 years, and in this class he gives you a game plan for getting started, goes over different lighting set ups for a range of budgets, shares his tips and techniques for making clients feel comfortable from the moment they arrive through the end of the shoot, and shows you his streamlined workflow for putting it all together. Don’t let fear hold you back! Use your talent and skill to give people the gift of a beautiful photo of themselves. Go out and start taking headshots! Join Peter Hurley as he brings you the answers to the top 10 headshot questions he gets asked the most. In this class you’ll learn how to chill out your subject, how to get started with a limited budget, how to make people look their best, and how to fix all kinds of things that come up during a shoot. From gear choices to working with clients, Peter doesn’t only provide the answers, he demonstrates how he works with live subjects, so you get to see it all from start to finish in a series of shoots with a variety of people. To really get the most out of it though, you’ve got to apply it, and by the end of the class you’ll be ready to get started. It's all about the edit! You've just had an awesome photo session and now you need to narrow it down to just the best ones. How do you do it? Join Peter Hurley as he walks you through a series of live headshot sessions and then talks through his editing process with the subjects at the end. Peter is joined throughout the class by Scott Kelby, and together they edit through multiple different shoots that Scott has brought in. Editing is all about narrowing shots down to just the ones that will go into your portfolio to help you get more work. Learn how to develop this muscle and find your own shebangs! Take an inspiration break with Mia McCormick and Peter Hurley, an advertising and commercial photographer based in New York. Peter is known around the world for his ability to draw emotion and expression from people posing for his headshots, but you may not know the story about how he got started and built the business he has today. Over the course of an hour Mia and Peter discuss a wide variety of topics that range from getting started in the business to figuring out how to create a viable career, from what Peter's typical day looks like to the importance of building relationships, having the burning desire, setting goals, and so much more! Mastering Headshot Photography isn't about the technical aspects of lighting or gear, instead it's all about learning how to pull expression out of your subject. It all comes down to the communication between you and your subject, and you're the one responsible for making it happen. Join Peter in his studio while he works one-on-one with a variety of different subjects and teaches you his favorite tips and techniques for connecting with your clients, building their confidence in front of the camera, and bringing out authentic expression. This is a must-see course for any portrait photographer!